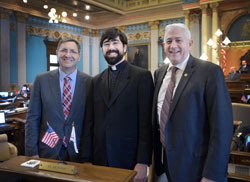 LANSING, Mich. — Sen. Ken Horn, R-Frankenmuth and Sen. Jim Stamas, R-Midland, welcomed the Rev. Timothy Cook to the Michigan Senate on Tuesday. 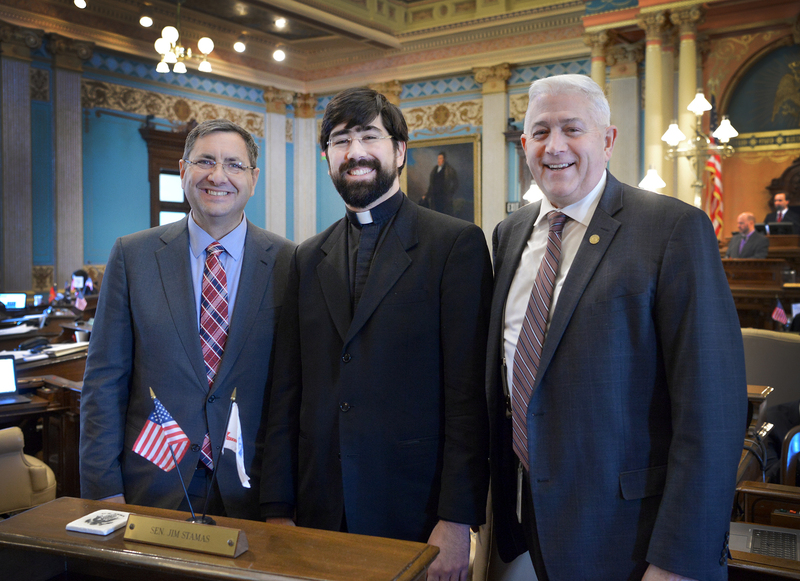 Father Cook serves as the parish priest at St. Demetrios Greek Orthodox Church in Saginaw and delivered the invocation before the start of Senate session. Editor’s note: A print-quality photograph of Horn welcoming Tuesday’s guest is available by clicking on the image or by visiting the senator’s website at www.SenatorKenHorn.com. Click on “Photowire” under the Media Center tab.